Crowne Plaza, Mayur Vihar, Delhi is a luxury hotel and is a global upscale hotel chain dedicated to providing the best services to its clients. 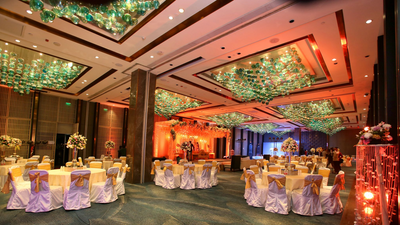 It is the perfect place to celebrate all your pre-wedding functions and wedding. 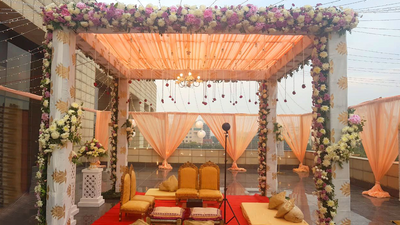 They have a great hospitality and also have spa amenities to allure your guests and even the bride and groom to rejuvenate themselves. The interiors are very royal and aesthetic and they have spacious banquets to seat all your guests with amazing food and catering services. Being well equiped with all amenities, they have 160 rooms and suites which are comfortable and spacious. 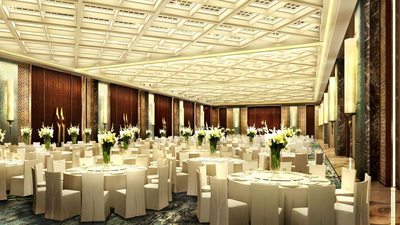 They offer 4 indoor halls with 40 seated + 100 floating capacity, 80 seated 225 floating, 70 seating 200 floating and 192 seating and 550 floating areas. All there ballrooms are beautiful and spacious. 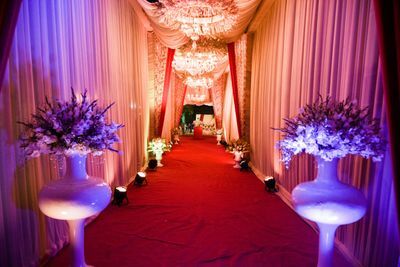 They provide inhouse catering and alcohol and DJ and have a selected list for decorators.